What? The .nobody&co. Designers, Alisée Matta and Giovanni Gennari, began working as an advertising team in 1994 before getting together to establish their Milan based design studio. 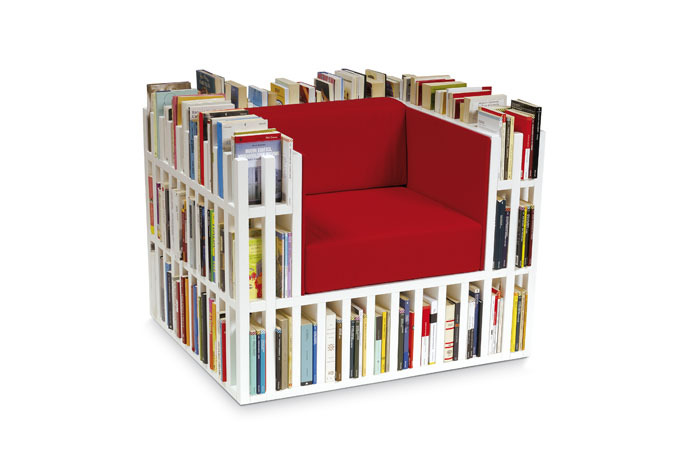 It was there that they created the Bibliochaise, an arm chair which has space to hold “5 metres” or around 300 books. Bibliochaise is customisable with different covers and colours and prices vary.